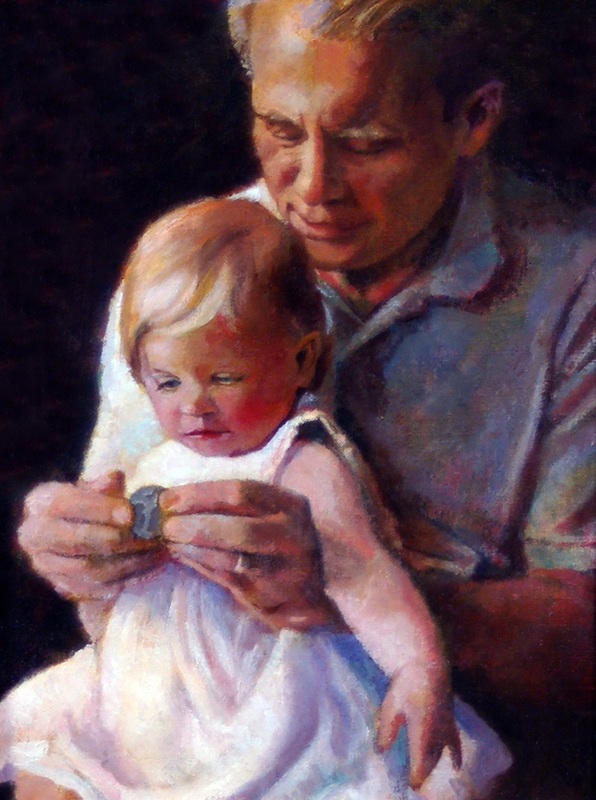 This painting captures Violet’s enduring attention when she was very small. My husband jokes that he was showing her a coin – lucre – and was thus dubiously introducing her to realms of consumerism and commercialism. Grandpas get away with everything.